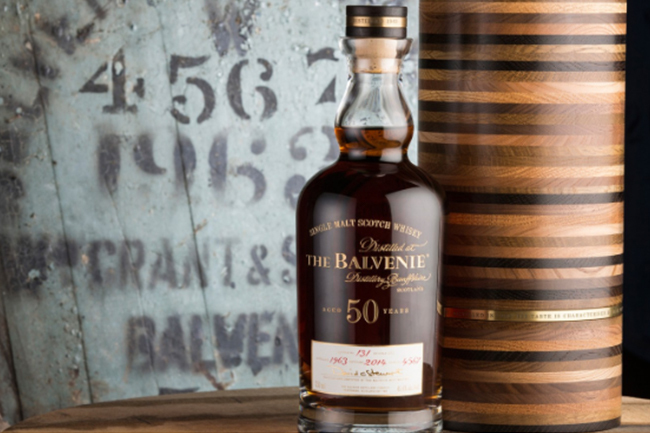 We’re now the proud owner of a rare Balvenie 50-year old Scotch whiskey, one of the most prestigious luxury spirits in the world, and we have the only bottle made available in Canada! A perfect one ounce pour, offered at $2,600 CAD, will be available exclusively at our Lobby Lounge beginning Friday, February 12th. Sip on this exceptional Scotch whiskey in your very own handcrafted and specially numbered ‘collector’s edition’ Baccarat crystal glass. The wee dram will allow those to experience a unique taste of history – literally. The Lobby Lounge has become Vancouver’s premier destination for cocktails and live music, with one of the world’s best bartenders, Grant Sceney, at its helm. “We often host a sophisticated clientele in The Lobby Lounge who enjoy the finer experiences in life. This scotch is in itself a part of history and highlights years of elegant craftsmanship. It’s very rare that an opportunity like this comes along, and it represents our ongoing commitment to being the best lounge in the city and offering a unique experience for our guests,” comments Grant Sceney, head bartender at Fairmont Pacific Rim. • Rich and deep with an abundance of elegant oak, notes of sweet raisins and a subtle ginger spiciness.